So yesterday did transfer. A kill disco ipa to the secondary. And did try to wash yeast. Besides burn my hand on hotwater. Cleaning mason jars. I think it did work. 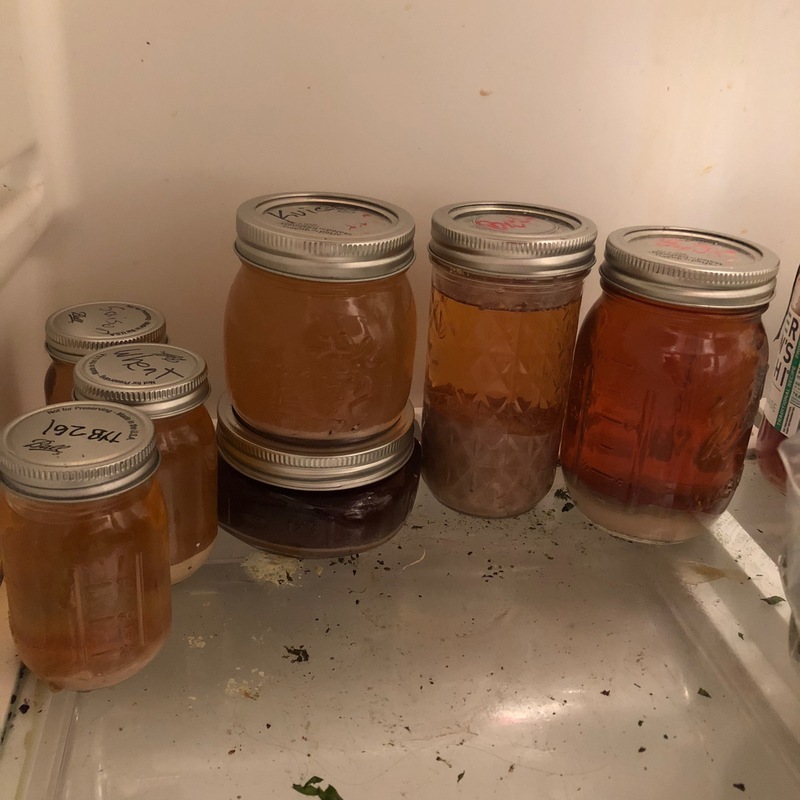 End up with 4 mason jars of yeast. Just check. The yeast jars. See a layer of yeast on the botom. I did cold crash yesterday. What did you use to wash the yeast? I think the current thinking is that the yeast is happiest and safest in the beer environment it has already made. So just dump the trub in sanitized mason jars and be done with it. I used a bowl of starsan to sanitize the mason jars. Did add boiled water. To the fermentor. Did shake. Add the slurry to a. Big mason jar. Let it settle. Transfer. To smaller mason jar. Ended up with 2 jars. Did cold crash for about. 6 hours. Last night did transfer to 4 small mason jars. Cold crash. This morning. Could see layer of yeast on the bottom. And of course. Clean boil the jars. Before use. I did look at different. You tube video. First. Got it. Yes I did a similar method in the past. I think that there is washing vs rinsing and I can never keep the terms correct. The method I now use is to make a starter and store part of that in a mason jar and pitch the rest in my wort. Then make a starter again, when it comes time, from the mason jar from the previous starter. While I don't have any proof I think the yeast stays true to its original characteristics for more generations this way and I never have to wash/rinse because the yeast is always new and healthy. This method does require some DME and so extra time but I like watching the yeast on the stir plate. I've been saving yeast yeast for a while now... my standard practice is, throw a jar or two in a 5 gallon bucket of start san, you yourself, scrub in.. by that I mean I'm washing my hands in the bucket of star san...Rack you brew to the keg, have a spoon, sanitized, with a long handle, scrub in some more, then take out the jars, empty, I will let them drip for a minute, then scoop some yeast off the yeast cake... I don't go to the bottom, rather skim off the top. Then I will pour an inch or a bit more of some hoppy brew on top to create a cap.. Some Saran Wrap, put the ring on it... Into the fridge.. I had one jar explode all over my face and the ceiling when I took it out of the fridge and opened it. I now degas them a bit after the first cold crash. Don't screw the top tight the inner lid can lift up a bit. 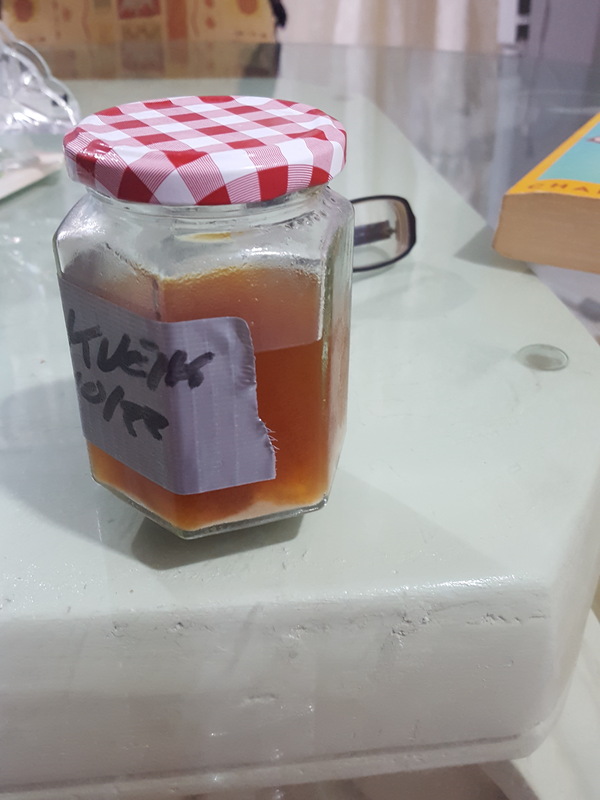 I've found some jars tucked in the back of the fridge over a year old without pressure. And yes I pitched it to see if it would ferment and it did. Don't generally use stuff that old. Probably repitch once or twice and move on. As far a washing I don't bother anymore. I rinse a mason jar in starsan. Swirl the trub gentle and pour about 600 to 800ml off the top. Into the fridge. On the repitch I pour off the beer cap that settled out swirl gently again and pitch 200-400ml off the top I leave the compressed stuff behind. On brew day I just take it out and let it warm up. It will start producing bubbles and I pitch. Starts fermentation right away which I like. My process is similar to @brew_cat's. Nothing else is really necessary. If I'm not mistaken "yeast washing" is a highly technical process that occurs in labs. What home brewers have done in the past is "yeast rinsing" to be specific and has been determined through tightly controlled experiments to do more damage than good to the viability of your slurry. (At least that seems to be the commonly accepted 'wisdom' of the last few years. I agree with not using a sealing lid on the saved slurry. I simply use aluminum foil with one of the significant other's elastic hair bands. Rubber bands could work too, but I wonder about their longevity in the cold temps. I've some pretty "long in the tooth" slurries now in my fridge (as I have been in hurricane pause mode), so I'll typically do a vitality starter(SNSYS) day before brewday. Hurricane risk is getting lower now so I'll probably crank up the brewing efforts soon. All I have ever done to save yeast is to: With a bucket or carboy, sanitize my hands and a mason jar/lid with Star San or in the past other stuff. sanitize the mouth of the carboy or the rim of the bucket and swirl the yeast cake and small amount of beer left and pour some in the jar. With the conical, sanitize the valve and dump some in the sanitized jar. With the upper valve you can dump some while fermentation is still going. Aluminum foil or plastic wrap and a rubber band work but the lid not cranked on tight does too. I'll go five generations but usually get nervous at three. Same. I use mason jars with the two piece lid. Screw it on snugly then loosen a 1/4 turn or so. Never had any issues with CO2 production. I store them in 36 degree serving fridge and set out to warm before pitching or making a starter. Always check the lid before I let it warm up to make sure it's loose. My yeast jars are always knocked over by my family. I screw the tops on tight but I find that you do not need a pint sized mason jar. Now that I am harvesting from my starter instead of from the trub I am using the tiniest, I dare say cute , mason jars. The non hygienic shrapnel all over the fridge is mostly my wife's kale and shall not be discussed.